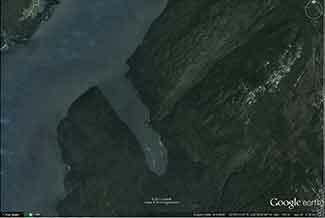 · The proposal by the Kitimat LNG project uses a relatively new technique that is expected to improve aquatic habitat in Clio Bay. The bay has been used as a log handling site for decades, resulting in areas of degraded habitat from woody debris on the seafloor. The project will cap impacted areas with inert material to restore the seafloor. · Capping at smaller-scale sites in Canada has shown that the technique has successfully restored low-value aquatic habitat. · The project will implement standard and project-specific measures to protect fish and aquatic habitat and will conduct a five-year monitoring program to determine how well the habitat is recovering. · Data from the monitoring program will be used to guide future habitat reclamation at impacted habitat sites. Reference sites are being established as benchmarks against which the capped sites can be measured. · Site-specific standards for dissolved oxygen levels will be developed for the enhanced site by sampling a control site having similar habitat parameters. · Detailed mapping has been done to identify the best areas for the soil placement and to protect sensitive habitat such as intertidal areas, rocky substrates and eelgrass beds. · Other required mitigation measures will include analyzing the cap material to confirm it is free of contaminants and placing this material during appropriate tidal conditions to ensure accurate placement of the cap in accordance with design plans. 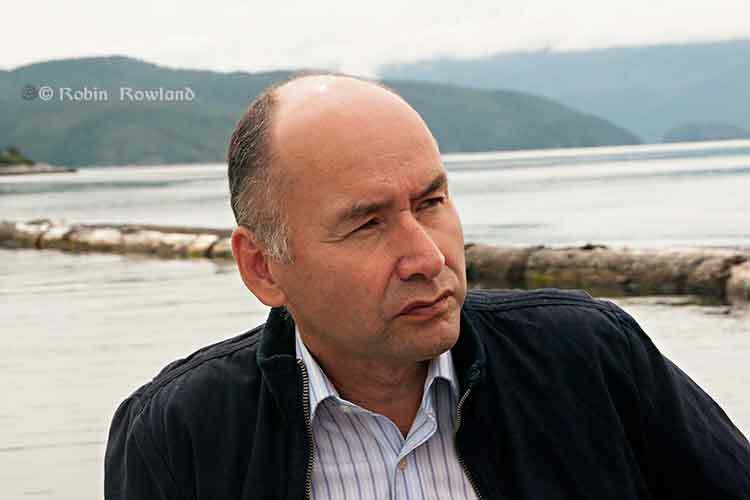 Haisla First Nation Chief Counsellor Ellis Ross says the Haisla made the proposal to the KM LNG project, a partnership of Chevron and Apache, to use the marine clay to cover the thousands of logs at the bottom of Clio Bay after years frustration with the Department of Fisheries and Oceans and the BC provincial government, which for decades ignored requests for help in restoring almost fifty sunken log sites in Haisla traditional territory. The problem is that remediation of the hundreds of sites on Canada’s west coast most containing tens of thousands of sunken logs has been so low on DFO’s priority list that even before the omnibus bills that gutted environmental protection in Canada, remediation of sunken log sites by DFO could be called no priority. Now that the KM LNG has to depose of a total of about 3.5 million cubic metres of marine clay and possibly other materials from the Bish Cove site, suddenly log remediation went to high priority at DFO. The controversy is rooted in the fact that although the leaders of the Haisla and the executives at Chevron knew about the idea of capping Clio Bay, people in the region, both many residents of Kitimat and some members of the Haisla were surprised when the project was announced in the latest KM LNG newsletter distributed to homes in the valley. The Clio Bay Restoration Project proposed by Chevron, is planned to get underway sometime in early 2014. The proposal is fully supported by the Federal Department of Fisheries and Oceans and the Haisla First Nation Council. The project has been put forward as the best option for removal of the marine clay that is being excavated from the Kitimat LNG site at Bish Cove. Chevron hired Stantec, an independent engineering and environmental consulting firm with extensive experience in many major habitat restoration projects that involve public safety and environmental conservation. The Haisla, along with Stantec’s local marine biologists, identified Clio Bay as a site that has undergone significant environmental degradation over years of accumulation of underwater wood debris caused by historic log-booming operations. The proposal put forward by the marine biologists was that restoration of the marine ecosystem in the Bay could be achieved if marine clay from Chevron’s facility site, was used to cover the woody debris at the bottom of the Bay. The process outlined by the project proposal is designed to restore the Clio Bay seafloor to its original soft substrate that could sustain a recovery of biological diversity. Non-aboriginal residents of Kitimat are increasingly worried about being cut off from both Douglas Channel and the terrestrial back country by industrial development. These fears have been heightened by reports that say that Clio Bay could be closed to the public for “safety reasons” for as much as 16 months during the restoration project. The fact that Clio is known both as a safe anchorage during bad weather and an easy to get to location for day trips from Kitimat has made those worries even more critical. There is also a strong feeling in Kitimat that the residents were kept out of the loop when it came to the Clio Bay proposal. Clio Bay has been used as a log handling site for decades which has resulted in areas of degraded habitat from accumulations of woody debris materials on the sea floor. The project intends to cap impacted areas with inert materials and restore soft substrate seafloor. The remediation of the seafloor is predicted to enhance natural biodiversity and improve the productivity of the local fishery for Dungeness crab. The project area does support a variety of life that will be impact and therefore the project will require authorization from Fisheries and Oceans Canada for the Harmful Alteration, Disruption or Destruction (HADD) of fish and fish habitat. The letter avoids the controversy over the use of marine clay but saying “inert material” will be used. That can only increase the worries from residents who say that not only clay but sand, gravel and other overburden from Bish Cove and the upgrade of the Forest Service Road may be used in Clio Bay. (The use of “inert material” also gives DFO an out if it turns out the department concludes the usual practice of using sand is better. That, of course, leaves the question of what to do with the clay). Although Ellis Ross has said he wants to see large numbers of halibut and cod return to Clio Bay, the DFO letter only mentions the Dungeness Crab. DFO website cites pending changes after the passage of the omnibus bills. On June 29, 2012, the Fisheries Act was amended. Policy and regulations are now being developed to support the new fisheries protection provisions of the Act (which are not yet in force). The existing guidance and policies continue to apply. For more information, see Changes to the Fisheries Act. 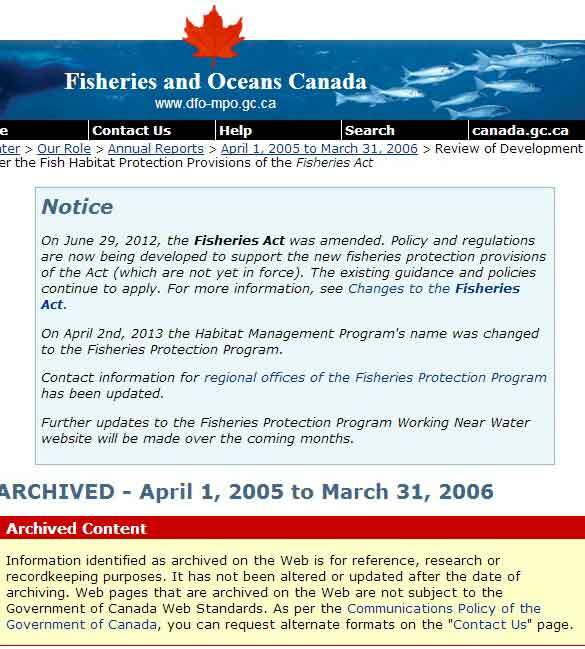 On April 2nd, 2013 the Habitat Management Program’s name was changed to the Fisheries Protection Program. So, despite what communications officers for DFO and the Harper government may say, there was no policy then and there is no policy now on remediation of log sites. Given Harper’s attitude that LNG and possibly bitumen export must proceed quickly with no environmental barriers, it is likely that environmental remediation will continue to be no priority—unless remediation becomes a problem that the energy giants have to solve and pay for. 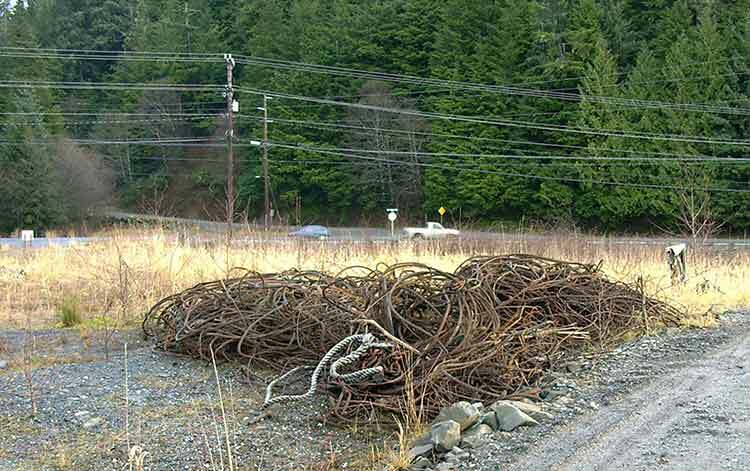 Those studies led Alaska to issue guidelines in 2002 with recommended practices for rehabilitating ocean log dump sites and for the studies that should precede any remediation project. The Alaska studies also show that in Pacific northwest coast areas, the ecological effects of decades of log dumping, either accidental or deliberate, vary greatly depending on the topography of the region, the topography of the seabed, flow of rivers and currents as well as industrial uses along the shoreline. The Alaska policy is based on studies and a remediation project at Ward Cove, which in many ways resembles Clio Bay, not far from Kitimat, near Ketchikan. The EPA actually chose Sechelt, BC, based Construction Aggregates to provide the fine sand for the Ward Cove remediation project. 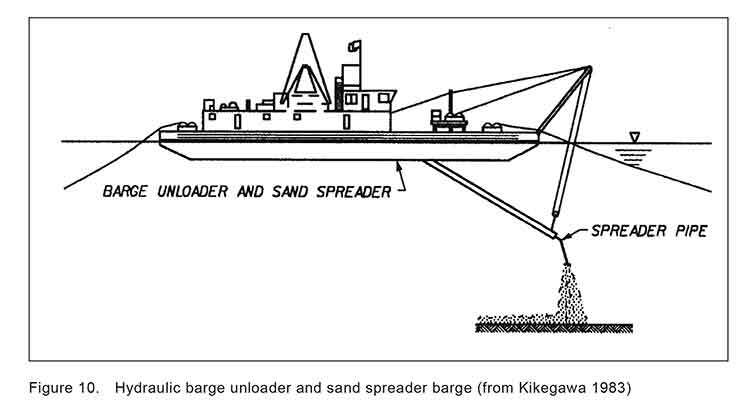 The sand was loaded onto 10,000 tonne deck barges, hauled up the coast to Ward Cove, offloaded and stockpiled then transferred to derrick barges and carefully deposited on the sea bottom using modified clam shell buckets. Nearly 25,000 tons of sand were placed at the Ward Cove site to cap about 27 acres of contaminated sediments and 3 other acres. In addition, about 3 acres of contaminated sediments were dredged in front of the main dock facility and 1 acre was dredged near the northeast corner of the cove. An additional 50 acres of contaminated sediments have been left to recover naturally. A report by Integral Consulting, one of the firms involved at the project estimated that 17,800 cubic metres of sand were used at Ward Cove. In contrast, to 17,800 cubic metres of sand used at Ward Cove, the Bish Cove project must dispose of about 1.2 million cubic metres of marine clay at sea (with another 1.2 million cubic metres slated for deposit in old quarries near Bees Creek). Studies at Ward Cove began as far back as 1975. In 1990 Alaska placed Ward Cove on a list of “water-quality limited sites.” The studies intensified in 1995 after the main polluter of Ward Cove, the Ketchikan Paper Company, agreed in a consent degree on a remediation plan with the Environmental Protection Agency in 1995. After almost five years of intensive studies of the cove, the sand-capping and other remediation operations were conducted from November 2000 to March 2001. A major post-remediation study was carried out at Ward Cove in 2004 and again in 2009. The next one is slated for 2015. Ross says there has been one small pilot project using marine clay for capping which the Haisla’s advisers and Chevron believe can be scaled up for Clio Bay. 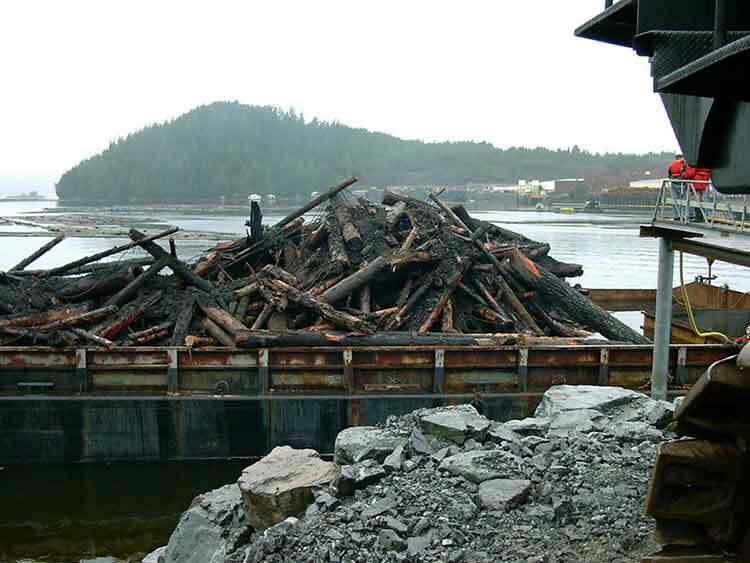 That DFO report also says that there were complaints about log dumping at Minette Bay as far back as 1975, which would tend to confirm what Ross says, that the Haisla have been complaining about environmentally degrading practices for about 30 years. Ross told Northwest Coast Energy News that if the Clio Bay remediation project is successful, the next place for remediation should be Minette Bay. A year after the Minette Bay study, DFO did a preliminary study of log transfer sites in Douglas Channel, with an aerial survey in March 1997 and on water studies in 1998. The DFO survey identified 52 locations with sunken logs on Douglas Channel as “potential study sites.” That list does not include Clio Bay. On water studies were done at the Dala River dump site at the head of the inlet on Kildala Arm, Weewanie Hotsprings, at the southwest corner of the cove, the Ochwe Bay log dump where the Paril River estuary opens into the Gardner Canal and the Collins Bay log dump also on the Gardner Canal. Although low oxygen levels have been cited as a reason for capping Clio Bay, Picard’s study says that “near surface” oxygen levels “did not reliably distinguish Clio and Eagle Bay sediments.” While Clio Bay did show consistent low oxygen levels, Eagle Bay showed “considerable interseasonal variation” which is consistent with the much more intensive and ongoing studies of oxygen levels at Wards Cove. It appears that Chevron was taken by surprise by the controversy over the Clio Bay restoration. Multiple sources at the District of the Kitimat have told Northwest Coast Energy News that in meetings with Chevron, the company officials seemed to be scrambling to find out more about Clio Bay. This is borne out by the fact, in its communications with Northwest Coast Energy News, Chevron says its consulting firm, Stantec has cited just two studies, Chris Picard’s survey of Clio Bay and a 1991 overview of log-booming practices on the US and Canadian Pacfic coasts. So far, Chevron has not cited the more up-to-date and detailed studies of Ward Cove that were conducted from 1995 to 2005. In its statement to Northwest Coast Energy News, Chevron cited its work on Barrow Island, in Western Australia, where the Chevron Gordon LNG project is on the same island as a highly sensitive ecological reserve. Chevron says the Australian site was chosen only after a thorough assessment of the viability of other potential locations, and after the implementation of extensive mitigation measures, including a vigorous quarantine program for all equipment and materials brought on to the Barrow island site to prevent the introduction of potentially harmful alien species. Reports in the Australian media seem to bare out Chevron’s position on environmental responsibility. Things seem to be working at Barrow Island. Those same high environmental standards are being applied to the Kitimat LNG project and the proposed Clio Bay Restoration project. The proposed work would be carried out with a stringent DFO approved operational plan in place and would be overseen by qualified environmental specialists on-site. The question that everyone in the Kitimat region must now ask is just how qualified are the environmental specialists hired by Chevron and given staff and budget cuts and pressure from the Prime Minister’s Office to downgrade environmental monitoring just how stringent will DFO be monitoring the Clio Bay remediation? Alaska standardsIn the absence of comprehensive Canadian studies, the only benchmark available is that set by Alaska which calls for:Capping material, typically a clean sand, or silty to gravelly sand, is placed on top of problem sediments. The type of capping material that is appropriate is usually determined during the design phase of the project after a remediation technology has been selected. Capping material is usually brought to the site by barge and put in place using a variety of methods, depending on the selected remedial action alternative. Thick capping usually requires the placement of 18 to 36 inches of sand over the area. The goal of thick capping is to isolate the bark and wood debris and recreate benthic habitat that diverse benthic infauna would inhabit. Thin capping requires the placement of approximately 6 – 12 inches of sand on the project area. It is intended to enhance the bottom environment by creating new mini-environments, not necessarily to isolate the bark and wood debris. With thin capping, surface coverage is expected to vary spatially, providing variable areas of capped surface and amended surface sediment (where mixing between capping material and problem sediment occurs) as well as limited areas where no cap is evident. Mounding places small piles of sand or gravel dispersed over the waste material to create habitat that can be colonized by organisms. Mounding can be used where the substrate will not support capping. Haisla Chief Counsellor Ellis Ross says that capping the logs at Clio Bay was a Haisla idea, taking advantage of the opportunity to use the marine clay from Bish Cove to bring back the Clio ecosystem. The Haisla were told by experts who video taped the bottom of Clio Bay that are between 15,000 to 20,000 sunken logs in Clio Bay. “I know because I’ve spent a lot of time down there plus my dad actually worked for the booming company for years and knew what was going on out there,” Ross said. “There are two extreme areas we’re talking about, if you look at Clio Bay where it’s estimated that there 15,000 to 20,000 logs down there, imagine what Minette Bay looks like? And it’s all iron, it’s steel. It’s not just wood, there are a lot of cables down there. He said that the Haisla have beem aware of environmental problems from sunken logs for decades and have been asking for cleanup of degraded areas since 2004, not just at Clio Bay, but in the Kildala Arm and at Collins Bay, which were studied by DFO in 1997. “The logs are down there, they are oxidizing, but no one wants to do anything about it, including the company and including the Crown. We had independent people come in and review it and have them come up with a recommendation. There was a small scale project [involving marine clay] that proved that this could work. “This system here is killing two birds with one stone, get rid of the clay and try to remediate some of the habitat,” Ross said. He said that the original estimate of marine clay excavated at Bish Cove was 10,000 cubic metres. That has now risen to about 3.5 million cubic metres because the KM LNG project is digging deeper for the foundation of the LNG terminal. The original plan called for disposing 1.2 million cubic metres at sea and another 1.2 million cubic metres on land. Asked about Ward Cove in Alaska, where the US Environmental Protection Agency ordered a cleanup, Ross said. “The difference here is that no one is ordering these companies to clean up the sites, they walk away. No one is taking responsiblity, The Haisla are trying to do this within the parameters they’ve given us.So if someone could come in and order these companies and do something, we’ll look for something else to do with the clay. Until that day comes, the Haisla are still stuck with trying to bring back this land by ourselves. If the District of Kitimat wants to pay the bill, great. Let’s see it. Ward Cove, just eight kilometres west of Ketchikan, Alaska, was so polluted by effluent from pulp and saw mills and a fish plant, and filled with 16,000 sunken lots that it qualified for a U.S. Environmental Protection Agency Superfund cleanup. The Ward Cove project is now considered a benchmark for cleaning up similar bays. Alaska officials emphasized to Northwest Coast Energy News, that while Ward Cove does provide guidelines for capping and dredging logs, they were not aware of any project where logs were capped that did not have other forms of contamination. 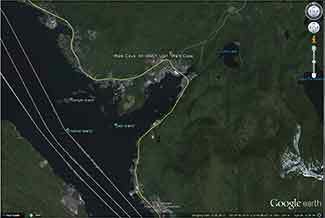 Both Clio Bay and Ward Cove are 1.6 kilometres long, somewhat elbow shaped, off a main channel and surrounded by mountains.Ward Cove is 0.8 kilometres wide. Clio Bay is about 0.5 kilmetres wide, 0.8 at its widest point. Both have steep slopes from the mountains. Ward Cove is 61 metres deep at the mouth of the cove, descreasing toward the head. Clio Bay is deeper, 182 metres at the mouth, 90 metres in the centre and between 20 metres and 9 metres at the head. Both Clio Bay and Ward Cove are subject to tidal circulation. Both Clio Bay and Ward Cove are also influenced by fresh water. Ward Cove is fed by Ward Creek, a smaller Walsh Creek and runoff precipitation the enters the cover from the steep mountain slopes. Clio Bay is fed by one creek, a number of small streams and mountain slope runoff, especially during the spring melt. Haisla Chief Counsellor Ellis Ross estimates there are between 10,000 and 20,000 sunken logs in Clio Bay. The official summary from the United States Environmental Protection Agency said there were 16,000 sunken logs in Ward Cove. The major difference with Ward Cove is that it was the site of major industrial development including a pulp mill, a sawmill and a fish plant. That meant the level of pollutants in Ward Cove were much higher than in Clio Bay, which has never been used for an industrial plant. It was the pollutants in Ward Cove, mainly ammonia, hydrogen sulfide, and 4-methylphenol combined with the thousands of sunken logs that made the cove a target cleanup and the associated studies. A fish plant, Wards Cove Packing opened in 1912 and ceased operations in 2002. 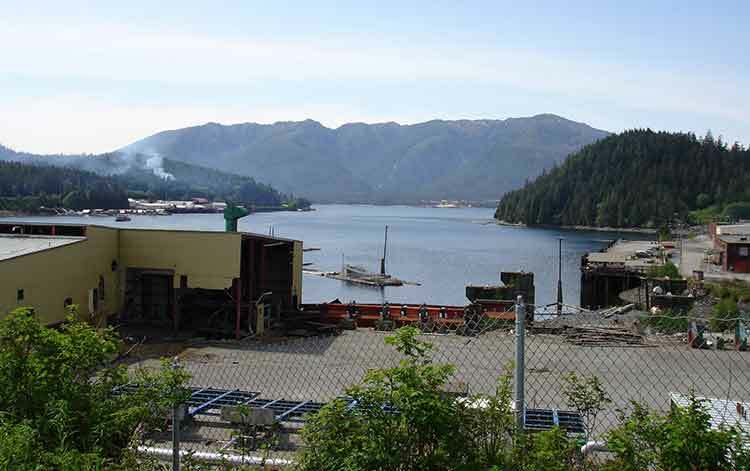 The Ketchikan Paper Company mill began operating in 1954 and closed in 1997. Prior to 1971, with the rise of the enviromental movement no permits were required by KPC for discharging effluent into the cove. After that the US Environmental Protection Agency issued a discharge permit and monitored effluent. Throughout the time the KPC mill was operating, the EPA says, “high volumes of log storage (approximately 7 billion board feet) caused accumulation of bark waste and sunken logs at the bottom of the cove.” Gateway Forest Products, a sawmill and veneer plant, continued to store logs in Wards Cove until 2002. An ecological risk assessment was also conducted using a food-web assessment to estimate risks of bioaccumulative chemicals to representative birds and mammals at the top of the Ward Cove food web. The chemicals evaluated were arsenic, cadmium, mercury, zinc, chlorinated dioxins/furans, and PAHs. The results of this assessment indicated that there are no unacceptable risks to higher trophic level organisms in Ward Cove. A human health risk assessment was conducted to identify potential risks posed by chemicals detected in sediments or seafood (e.g., fish, shellfish). Ingestion of seafood that may contain chemicals bioaccumulated from the sediments was identified as the only complete exposure pathway for humans. The chemicals that were evaluated included: arsenic, cadmium, mercury, zinc, phenol, 4-methylphenol, chlorinated dioxins/furans, and PAHs. Results concluded that sediments in Ward Cove do not pose an unacceptable risk to human health. The continuing residues impairment in Ward Cove is caused by the historical accumulation of wood waste on the bottom of the cove. The waste includes an estimated 16,000 sunken logs over at least 75 percent of the bottom and decomposing pulp, wood, and bark waste in sediments in thicknesses up to 10 feet over at least 50 percent of the bottom. Wood waste residues can displace and smother organisms, alter habitat, release leachates, create anoxic conditions, and produce toxic substances, all of which may adversely affect organisms that live both on top of sediments and within sediments. That is a similar problem to Clio Bay. The dissolved oxygen impairment was due largely to the fish-processing waste discharge from the seafood processing facility until 2002, and it was limited to the summer months in deeper waters of the cove (below the picnocline, or stratification layer, approximately 10 meters deep). With that discharge removed, limited monitoring in August and September 2003 indicated that dissolved oxygen impairment might remain near the bottom in waters at depths of 30 meters and greater at certain times and locations due to low natural levels of dissolved oxygen and the continuing decomposition of wood waste. Above 30 meters depth, the waters of the cove appeared to meet the [Alaska state] standard for dissolved oxygen. However, there may be limited capacity for waters at 30 meters and deeper to receive additional loading of oxygen-demanding materials and still meet the standard in summer months. That should mean that the worries about oxygen depletion at Clio Bay are justified due to Clio’s greater depth. The major studies of Ward Cove began in 1995 after first consent decree. The remediation did not take place until the initial studies were complete in 1999, with dredging and capping taking place from November 2000 to March 2001. 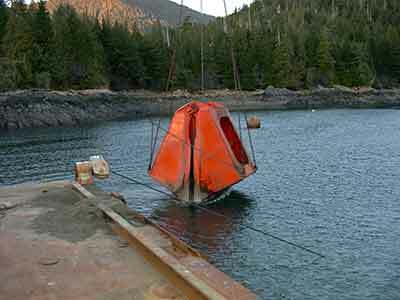 The EPA positioned 13 water quality monitoring stations which operated from 1997 to 2002, to measure salinity, temperature and disolved oxygen, nine inside Ward Cove and four outside the cove in Tongass Narrows. Those studies showed that levels of dissolved oxygen in the cove varied by season, depth and location. Many species from salmon to mobile bottom dwellers like crabs were often able to detect and avoid low oxygen areas. The EPA and the companies involved planned the remediation so that it included both dredging, capping logs and sediment and leaving some areas where nature would take its course. The reports say that complete dredging, removal and disposal of the contamination would have cost $200 million, The total actual cost of the Ward Cove Remediation Project, beginning with development of the Remedial Design Work Plan, was estimated to have cost $3,964,000 (in 2000 US dollars). The EPA says cost for the capping component of the project “including preliminary field investigations and reporting, design and plans development, post construction engineering, procurement, construction management, project management, mobilizationm demobilization, engineering/QC and science support, surveys, and capping items” was $2,563,506. Based on the volume of capping material placed, the unit cost of log capping for the Ward Cove Remediation Project was $110 per cubic yard. The plan called for dredging about 17,050 cubic yards in the area near the cove’s main dock and the dredging of 3,500 yards metres nearby to improved navigation. Before the dredging, 680 tonnes of sunken logs had to be removed. After dredging, a “thin-layer cap of clean, sandy material” was placed in dredged areas unless native sediments or bedrock was reached during dredging. That meant that the EPA had look for a source of quality sand that met their criterion. The sand was found at Construction Aggregates in Sechelt, BC, loaded on 10,000 tonne deck barges, tugged up the coast, unloaded onto land using a conveyor and stockpiled while more tests were done to determine how to deposit the sand on the sunken logs. 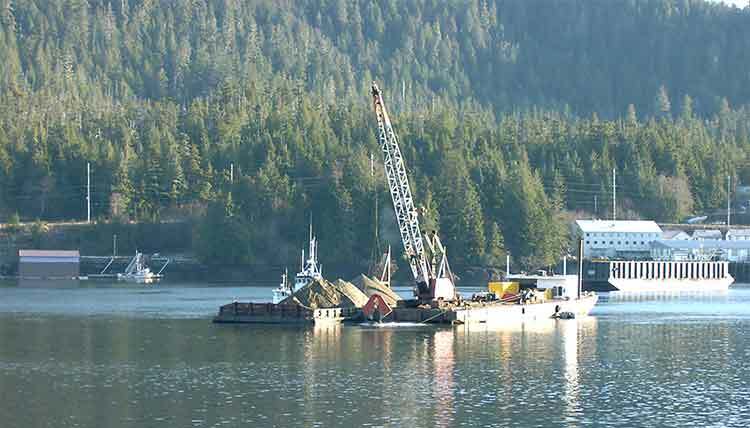 Sand was placed on a smaller barge and taken to the deposit site. 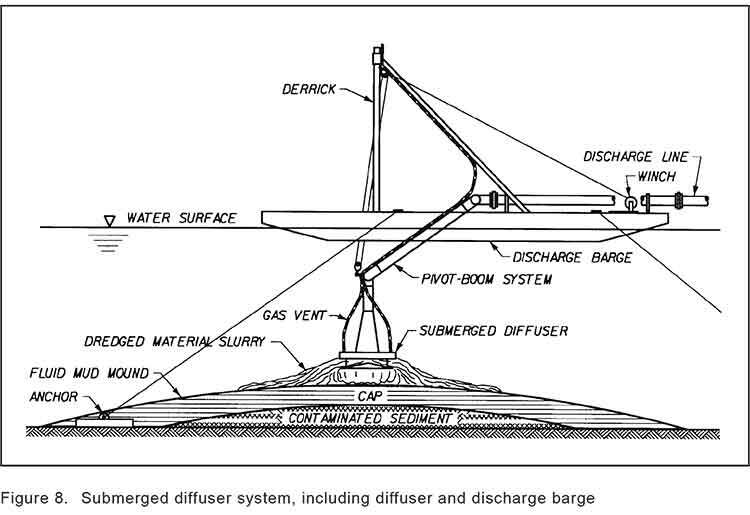 Initial tests were done with a mechanical dredge equipped with a clamshell bucket. The operator deposited the sand using “swaths” released from the bucket. To make it work properly, the bucket, as supplied by a manufacturer had to be modified by welding baffle plates to the bucket and lengthening the chains to insure consistent deposition of the sand. Two computers with special software called WINOPS, designed for dredging operations “provided the operator and deck engineer the precise locations of the derrick barge position” in order to ensure precise deposition of the sand. WINOPS dredge positioning and guidance software. The WINOPS system made use of three differential global positioning receivers. One GPS receiver was located at the top of the derrick and provided the center positioning of the dredge bucket. Two fixed receivers, one near the starboard center spud and one near the center aft, provided the barge position and heading. 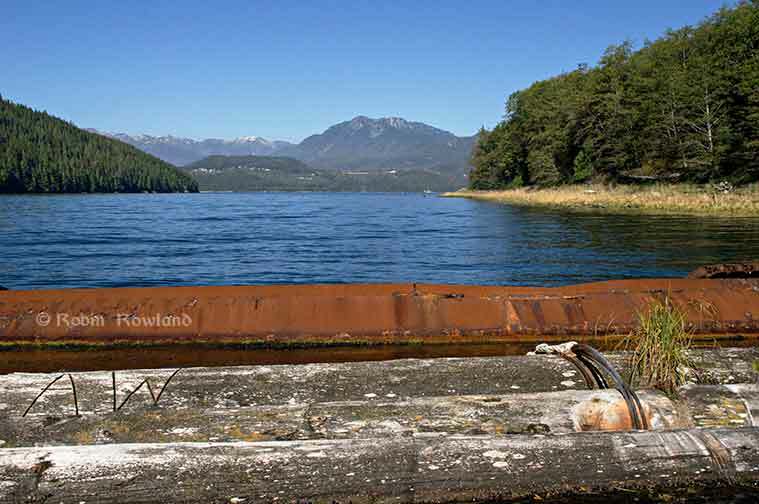 Although using marine clay is likely to produce different engineering challenges at Clio Bay, it is not currently clear that the project has contemplated the level of precision that was used at Ward Cove. While KM LNG must find a way to dispose of the marine clay from the Bish Cove excavation site, there is a silver lining for the Haisla Nation’s aim of restoring both Clio Bay and the other 50 sites in their traditional territory, since the Kitimat Sand Hill would likely be a ready resource for any future projects. The EPA considered the project finished in September 2001, and long term monitoring began, with major updates every five years in 2004 and 2009. An EPA report on the 2004 review showed that the three sand-capped areas and one shallow natural recovery area (not sand-capped) had achieved biological recovery; three other natural recovery areas tested had not achieved biological recovery but were making significant progress. The 2004 studies showed that benethic (sea bottom) communities in uncapped areas showed “species commonly found in areas where organic enrichment is low or declining.” adding “In three other natural recovery areas, benthic communities have not progressed as far toward recovery but are making significant progress. By the time of the 2009 update, most of the old industrial infrastucture on land at Ward Cove had been demolished and the land area was slated for redevelopment. Many of the companies that had been there had either gone out of business or had declared bankruptcy and the land was taken over by the Ketchikan Gateway Borough,mostly through foreclosure. The 2009 report says that the project was successful in eliminating sediment toxicity. The area was then quickly being recolonized by a diverse bottom dwelling macroinvertebrate species and those species were spreading beyond the specific study areas, so recovery of Ward Cove is expected to continue. However the 2004 report went on to say that “the achievement of stable benthic biological communities with balanced species composition in more than 75 percent of the area with documented coverage by wood residues on the bottom of Ward Cove” would happen within 40 years from the 2004 study. The next review of Ward Cove is slated for August 2015. The Department of Fisheries and Oceans has declined an invitation from District of Kitimat Council to appear at a special meeting on Monday, September 30 to discuss the Clio Bay remediation project. A representative of Chevron will be in the council chambers at the Kitimat branch of Northwest Community College to make a presentation and answer questions. Thank you for the invitation to attend District of Kitimat Council meeting on September 30, 2013 to address plans by Chevron Canada and Apache Canada(Kitimat LNG) to remediate habitat conditions in Clio Bay. Regretfully, Fisheries and Oceans Canada (DFO) is unable to attend the scheduled council meeting. Fisheries and Oceans Canada has reviewed a proposal to dispose of soil materials, generated at the Kitimat LNG plant, in Clio Bay, Clio Bay has been used as a log handling site for decades which has resulted in areas of degraded habitat from accumulations of woody debris materials on the sea floor. The project intends to cap impacted areas with inert materials and restore soft substrate seafloor. The remediation of the seafloor is predicted to enhance natural biodiverstiy and improve the productivity of the local fishery for Dungeness crab. The project area does support a variety of life that will be impact and therefore the project will require authorization from Fisheries and Oceans Canada for the Harmful Alteration, Disruption or Destruction (HADD) of fish and fish habitat. Mapping of the seafloor in Clio Bay has been completed and the project plans prioritizes capping on areas of dense woody debris, followed by areas of soft substrate with woody debris distributed throughout. Mapped areas that are avoided include hard substrates and sensitive habitats such as freshwater streams and eelgrass beds. Buffers have been allocated around sensitive areas and no capping will be conducted in areas of less 10m in depth. Proposed mitigation to avoid potential impacts to areas outside Clio Bay includes avoiding deposition of material within 500m of the confluence of Clio Bay and kitimat Arm. Some areas of degraded or partially degraded habitat will not be capped to serve as reference areas. 1. Water quality near the sea floor. Reference sites will be used to make comparison between capped and uncapped habitats. Monitoring will continue for a period of five years following the completion of the works. The proponent will be required to report the follow-up monitoring program to DFO in years 1,3 and 5 following construction. Note many, not all, external links are to pdf files. This is the EPA Web site on the Ward Cove cleanup and remediation with numerous documents. Academic paper by Ward Cove consultants Geramano & Associates on sediments in Ward Cove and Thorne Bay, Alaska.